Jayaprakash Narayan @JP_LOKSATTA - #loksattalive It does not matter if the cat is black or white; it should catch mice. all we need to do is to protect our interests. Jayaprakash Narayan @JP_LOKSATTA - #loksattalive all procurement must be only from indian sources. then our producers benefit. Jayaprakash Narayan @JP_LOKSATTA - #loksattalive limiting to select big cities protects small traders. 75% of trade will remain with small traders in a fast going market. Jayaprakash Narayan @JP_LOKSATTA - #loksattalive Key challenge is backward integration, quality, grading, transport, storage & processing. Jayaprakash Narayan @JP_LOKSATTA - #loksattalive It stabilizes prices, creates jobs and adds value and eliminates waste. Jayaprakash Narayan @JP_LOKSATTA - @ashwinmahesh Fiscal prudence has to be across the board. It cannot be knee jerk reaction. 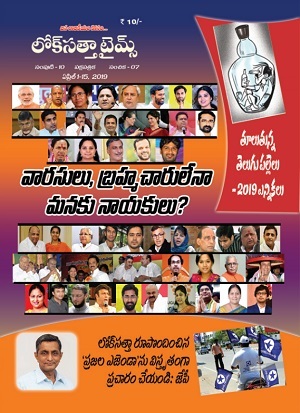 Jayaprakash Narayan @JP_LOKSATTA - @balajiworld @ashwinmahesh Clearly we have to build safegaurds based on past experience to prevent tax evasion. Sanjay Jhunjhunwala @PollTics - @JP_LOKSATTA #loksattalive increasing taxes without ensuring that the tax money is spent judiciously is a recipe for disaster. j venkatesh @jvsk3 - @JP_LOKSATTA President OBAMA call 2 his people not 2 buy from WALMART'S was all over Twitter last Year.Why? j venkatesh @jvsk3 - @JP_LOKSATTA #loksattalive Funniest aspect is lastyear USA President Obama was telling his Citizens2Purchase from Kiranas ¬ from Walmart? Amit Choudary @Amitjan - @JP_LOKSATTA @jvsk3 Totally Agree. Raghava Rohit @GVRDon - #loksattalive what amount of transparency can be seen by states in selecting the cities for FDI? Ram Ramdas @ramramdas - @JP_LOKSATTA @geekz #loksattalive yes, especially agri procurement! Ram Ramdas @ramramdas - @JP_LOKSATTA #loksattalive infact more investment being made by indian cos overseas than in india over last 5 years! Ram Ramdas @ramramdas - @pkrtweets @jp_loksatta @rubenmasc @indirakoneru do you really beliv e that indian cos don't? Why fear the clor of the dollar bribes? Ram Ramdas @ramramdas - @pkrtweets @jp_loksatta @rubenmasc @indirakoneru with proper safeguards, I don't think even walmart is to be feared! Ram Ramdas @ramramdas - @JP_LOKSATTA @rubenmasc @indirakoneru #fdi #loksattalive if big indian retailers can't, why shd foreiners be able? Why are we so xenophobic? dhanada mishra @dhanadam - @JP_LOKSATTA @indirakoneru Is it not possible to have State Level Regulatory mechanism to control the impact of FDI in favour of the masses? Karan @karancspeaks - @JP_LOKSATTA Even though the source of investment doesnt matter, the sourcing of the products do Sir. Ram Ramdas @ramramdas - @JP_LOKSATTA @LoksattaMember @cloudsaaspaas #fdi #loksattalive all inv incl FDI must be promoted.. Backdated law on Income Tax was shameful! Ramanujam @nimmajji - @JP_LOKSATTA Exactly, sir. I feel the fears expressed by the opponents can be managed through wise regulations. Ramanujam @nimmajji - How different are the arguments against #FDI in retail compared to those against opening up of the economy in 1991? Am I missing something? Loksatta Supporter @supportloksatta - @JP_LOKSATTA @ashwinmahesh Do you foresee any class of Indian producers' competitiveness increasing globally b/c of FDI retail policy? Kalyan Pilla @magikalyan - @JP_LOKSATTA #loksattalive #FDI might improve the economy, but would the gain surpass the loss to the daily retail seller? Jayaprakash Narayan @JP_LOKSATTA - @kirun_g @ashwinmahesh Yes, there will be 2 pieces ready on FDI and Oil Price in next 48hrs. To be published in DNA. Kalyan Pilla @magikalyan - @JP_LOKSATTA #loksattalive 6 cylinders a year!! Is this a plan to move to electric cooking?? Jayaprakash Narayan @JP_LOKSATTA - @mlallu Many of our companies have become MNC's. It works both ways. In fact India is doing better than China in foreign acquisitions. Kalyan Pilla @magikalyan - @JP_LOKSATTA #loksattalive 6 cylinders with subsidy is then a very decent idea.y dont v have subsidised fuel 4 a certain amt every month? Ratnakar Sadasyula @ScorpiusMaximus - @cpings4 @JP_LOKSATTA It is not just East Asia, almost all developed nations be it Aus,EU,US protect their domestic industry. Ratnakar Sadasyula @ScorpiusMaximus - @cpings4 @JP_LOKSATTA When we speak of East Asia, those nations invested heavily in education, R&D, how much have we? Ratnakar Sadasyula @ScorpiusMaximus - @cpings4 @JP_LOKSATTA Do you know that couple of years back in S.Korea, they were massive protests against beef import from US? Ratnakar Sadasyula @ScorpiusMaximus - @cpings4 @JP_LOKSATTA China, Korea, Japan protect their domestic industry, check out the tariff barriers MNC's face there. Ratnakar Sadasyula @ScorpiusMaximus - @cpings4 @JP_LOKSATTA China built the Infra, invested heavily in education before they started to invite FDI, can we say same. T S Sudhir @Iamtssudhir - @JP_LOKSATTA Will more investment (FDI) also mean more corruption & lining of political pockets? Are we looking at more scams in the future? 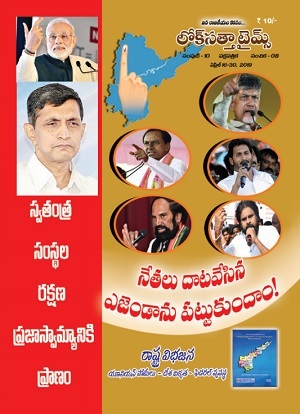 FakeJourno @FakeJourno - @JP_LOKSATTA (1) Was is LokSatta ? Or Dr Swamy and Prashant Bhushan ? (2) What about CoalScam ? Why not approach court for cancellation ? SonaliRanade @sonaliranade - Somebody ask #Loksatta live why does competition by foreigners work for manufacturing but not trading? What's so special about retailing? Anvesh R @anveshr - @JP_LOKSATTA Sir,I would like to know Loksatta's stand on Goods and service Tax. Sure it is a hit in other countries. Will it be same here? Ratnakar Sadasyula @ScorpiusMaximus - @cpings4 @JP_LOKSATTA Walmart had to get out of Germany due to the strict laws it had against price dumping there. @cpings4 @JP_LOKSATTA It is not just East Asia, almost all developed nations be it Aus,EU,US protect their domestic industry. Jayaprakash Narayan @JP_LOKSATTA - @sonaliranade Gr8 to follow ur views on twitter. I wish there are more such ppl who combine logic n facts with clarity. Lets be in touch.